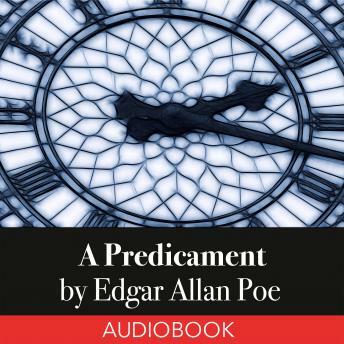 A Predicamen is a horror story by Edgar Allan Poe. The main character in A Predicament is a woman who is the protagonist. The conflict in this story was Person vs. Fate. I think it is this because the antagonist is time. She can't run away all she can do is wait for her fate. In the beginning of the story there is a exposition. This is where the background of the characters is explained in the beginning of the story. In this story there is definitely symbolism. Also there is an allegory. ...one step remained. One step! One little, little step! Upon one such little step is the great staircase of human life how vast a sum of human happiness or misery depends! I thought of myself, then of Pompey, and then of the mysterious and inexplicable destiny which surrounds us I thought of my many false steps which have been taken and may be taken again.â This shows the symbolism between taking step on a staircase and taking steps in life.